Make the most out of your weekend getaway! Making the most of your weekend getaway will be a breeze with endless options in store for accommodation, fabulous shops, delicious cuisines, and a dizzying array of attractions guaranteed to make you want to extend your stay. Whether you’re a first-time tourist to the city or a frequent visitor, your adventures won’t be complete without crossing off these spots from your must-see and do list. Alive Museum is the World’s Best 4D Museum! Conveniently located at Suntec City, Alive Museum is the largest in Singapore. Be thrilled by the optical illusions of more than 80 art pieces! See unique Singapore-themed artpieces only here! Endless ideas to create memorable photos, a great place for bonding with family and friends! Ever dreamed of flying a commercial plane? 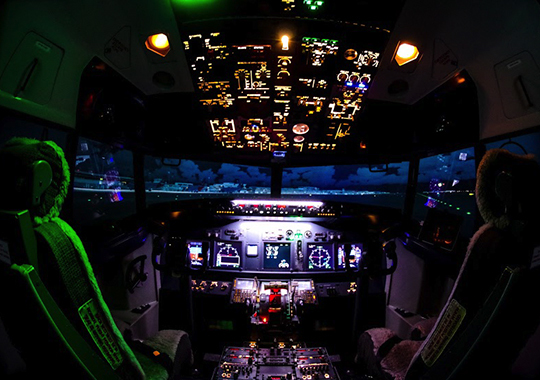 Flight Experience gives visitors a chance to fly to different destinations using a real flight simulator, and get a DVD recording of their maiden flight afterwards. Sweet! Visit one of the Top 10 Award-winning gardens of the world—Gardens by the Bay! Explore Flower Dome—the largest glass greenhouse in the world and wander amongst thousand-year-old olive trees and unusual baobabs of the cool dry Mediterranean and subtropical regions as you take in sights of the changing seasonal floral displays. Step into the world of the Cloud Forest and explore the highlands amidst orchids, pitcher plants and ferns from the cool-moist Tropical Montane region, complete with the tallest indoor waterfall in the world at 35-metres. Suspended 22 metres above ground, between the vertical gardens of our Supertrees, the OCBC Skyway comes alive nightly with Garden Rhapsody—a free light and sound show—at 7.45pm and 8.45pm. Take loads of selfies with all your favorite international celebrities, all under one roof! 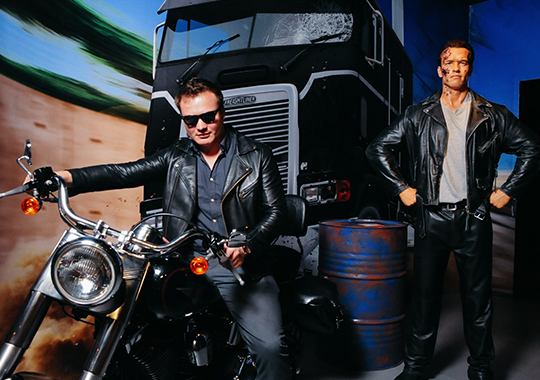 Grab this chance to take photos with your favorite Hollywood A-listers, film stars, top athletes, and world leaders without the stress of dealing with crowds and bodyguards at Madame Tussauds Singapore. From Brad Pitt to President Obama, they’ve got it all. Creative souls will love the National Gallery Singapore’s rich display of Southeast Asian art from 19th century to present day, while history buffs can explore the connection between art and society through the exhibitions. Mark your calendars: it opens on November 24, 2015! River Safari is Asia’s first and only river-themed wildlife park. Inspired by the world’s iconic river habitats, the park is home to 200 land and aquatic animal species. Stroll along freshwater aquariums and luscious walk-through exhibits, including attractions such as the Giant Panda Forest and the world’s largest freshwater aquarium – the Amazon Flooded Forest. Go on the Amazon River Quest and enjoy a 10-minute open-top boat ride for encounters with close to 30 animal species. Explore the newly opened private art museum on top of Fort Canning Hill and be inspired by a permanent collection of rarely-seen masterpieces including Rembrandt, Pollock, Monet and Picasso. The exhibitions display exceptional works that draw inspiring connections across artists, eras, cultures and genres. 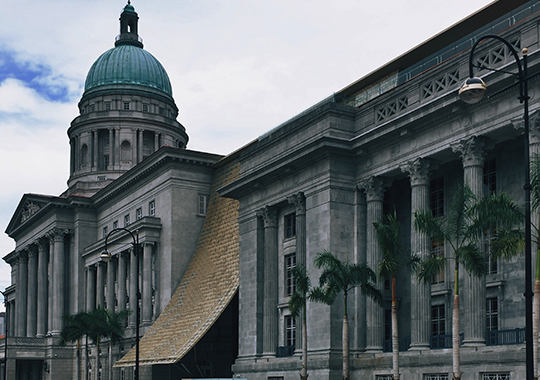 Lastly, discover Singapore’s legacy in the free-access Heritage Gallery. Enjoy breathtaking views of Sentosa and Faber Peak Singapore onboard the Singapore Cable Car. Check out the new Sentosa Line that will take you to the Merlion, Imbiah Lookout and Siloso Point stations to enjoy a variety of attractions. While at Siloso Point, take a scenic walk among the treetops at the 11-storey high Siloso Skywalk for free. Trick Eye Museum, originally from Korea, is the first 4D museum in Singapore with a huge array of interactive art exhibits ranging from paintings to sculptures, hand-painted by a team of dedicated artists. Head down for the quirky photo-taking opportunities! 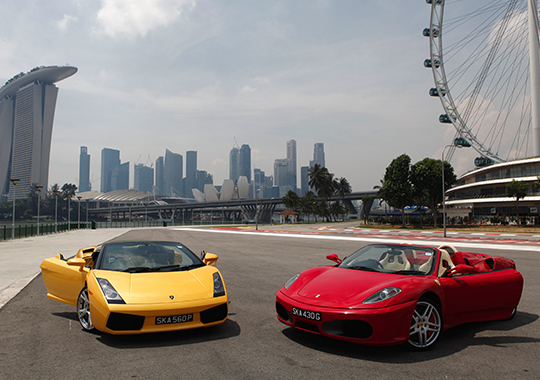 Experience the thrill of driving on the official Singapore F1 circuit in a Ferrari F430 or Lamborghini Gallardo for approximately 15, 30, or 60 minutes. At the end of your drive, you can also collect a recording of your trip. It’s never been easier to take on a Supercar. Excited to tick off these must-see spots in Singapore, book that flight to Singapore via Cebu Pacific today! The best part? You can enjoy discounts when you present your Cebu Pacific boarding pass at selected attractions. Visit www.cebupacificair.com for more details.